Uncle Matty's Tree Service is a company that provides a variety of tree services in Montvale and throughout Bergen County. All of our tree services are fully-insured and owner-supervised, and we provide same-day tree service for all tree care procedures. Our procedures include emergency tree removal in Montvale, firewood delivery, stump removal, tree trimming and tree cutting in Montvale. If you are looking for tree removal in Montvale, our professionals will arrive on site to complete the procedure for you. We own our own cranes and machinery for tree cutting in Montvale, and we guarantee that anything that surrounds the tree will not be damaged - including your home, building or other vegetation. We understand that tree removal in Montvale can be dangerous, but our professionals have the experience to remove trees in any hazardous situations. Call Uncle Matty's tree service right away to prevent harm--we respond right away to emergency tree service calls in Montvale and throughout NJ! 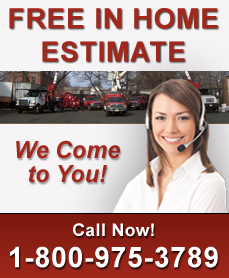 We also offer stump removal in Montvale. This is an important aspect of tree removal to consider in order to rid your yard of the chance of having insect infestations or overgrown vegetation growing on the stump. To find out more information about tree cutting or our tree removal in Montvale, or about any of the other tree services that we offer, contact Uncle Matty's Tree Service at 1-800-975-3789 and speak to a tree professional today!